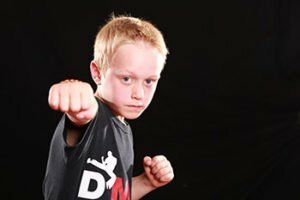 » Could Your Outlook on Life Change With the Help of Martial Arts Wigston? We all have our own view of life – sometimes positive, sometimes negative, and sometimes sitting squarely in the middle. However, it is always a good idea to err on the positive side where you can, even though it is not always easy to do so. If you struggle in this area, you might be surprised to learn that martial arts can help. Many people discover martial arts Wigston classes are very useful in helping them focus. You learn plenty of different things when you take these classes. While you may assume all of them will be physical in nature, this is not so. In fact, you may soon come to realise these classes can teach you a lot about life too. It’s easy to use the word focus a lot when talking about martial arts. Wigston classes welcome many different people to learn all about martial arts. They also welcome people to make their own discoveries about the lessons they are taking. People very often come to realise they are able to learn things about themselves, and about how they can react to the world around them. It is not unusual then to experience a change in your outlook on life. This change is typically very positive too, so if you are one of those people who tends to be more negative than positive, you’ll notice a nice shift over time. Eventually people may comment on the changes in you. But you will come to learn how much martial arts can offer you when you attend each week. You’ll change physically, certainly, but you will also change mentally. If you want to feel more confident, more at peace with yourself, martial arts Wigston classes could be just the place to make it happen.